The star of the show is a new CPI Mainboard v3.1, which features a quad-core Cortex-A7 CPU, ATmega168p programmable keypad, integrated Wi-Fi / Bluetooth, 1GB of DDR3 RAM, a 16GB microSD pre-loaded with ClockworkPi OS (Linux kernel 4.1), a micro HDMI output, 3.5mm headphone jack, and a 1200 mAh rechargeable battery. Assembling everything together and ensuring that it ran smoothly will take you around 1.5-hours, or slightly longer should there be any small snags. 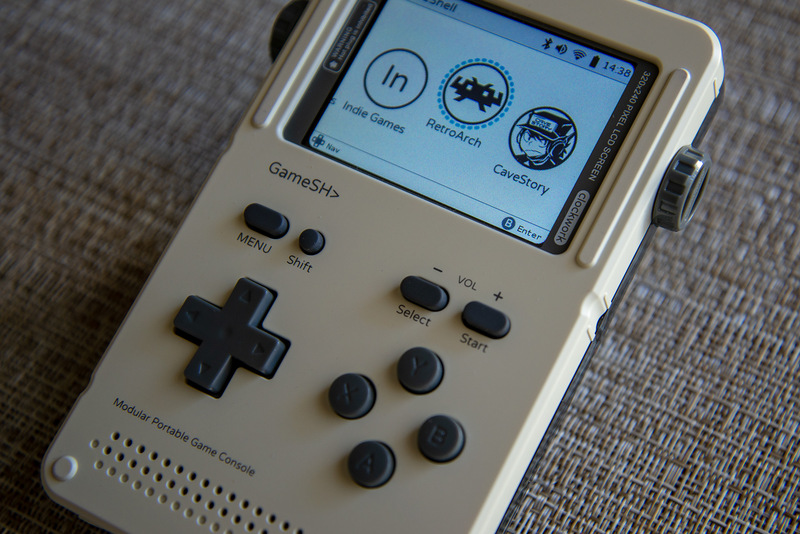 First, you’ll put together the crisp 2.7″ (320 x 240) IPS display, and since each PCB piece of the GameShell unit is labeled, you definitely won’t get confused. Before assembling the mainboard’s clamshell, make sure the included 16GB microSD card is put in. 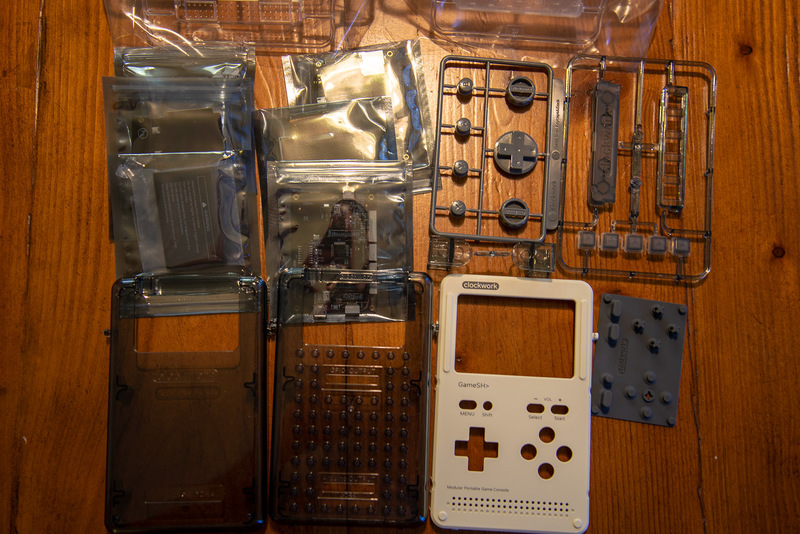 Next, you’ll put the keypad into its own modular clamshell holder with the board. Both the stereo speakers and battery components also have their own clamshell holder. Should you want four extra buttons, there’s also a LightKey module that goes onto the back of the LEGO-inspired rear shell. Once you have all of those assembled, simply place it in the shell as instructed, and then click them into place with the circular plastic holders. 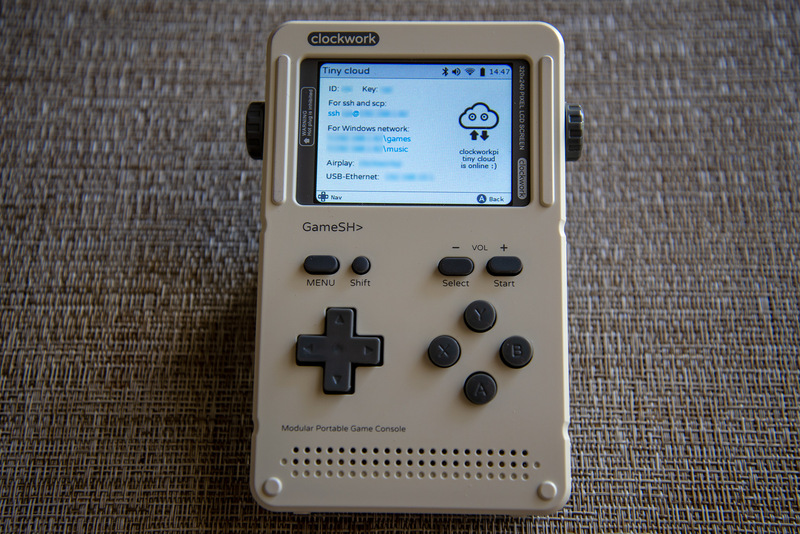 Once powered on, you’ll be greeted with a Clockwork penguin logo, a “Loading” screen and then Clockwork OS, which is an embedded Linux operating system that can be replaced if you have the know how. The menu has the following options: “Settings” (Airplane Mode, Power Options, Wi-Fi, Bluetooth, Sound Volume, etc. ), “Retro Games” (built-in emulators), Indie Games (Love2D, OpenTyrian, NyanCat, etc. ), RetroArch (frontend for emulators), “Cave Story” (platform-adventure game), freeDM (DOOM game), “Pico-8”, “Reload UI”, “Music Player”, and “Tiny Cloud”. The latter is what you’ll need to actually transfer files to the device, as the included microSD isn’t accessible with the GameShell put together. Tiny Cloud can be used over SSH / FTP / SFTP / SCP client on your computer, and once connected, you can simply transfer files as you would to any other device. 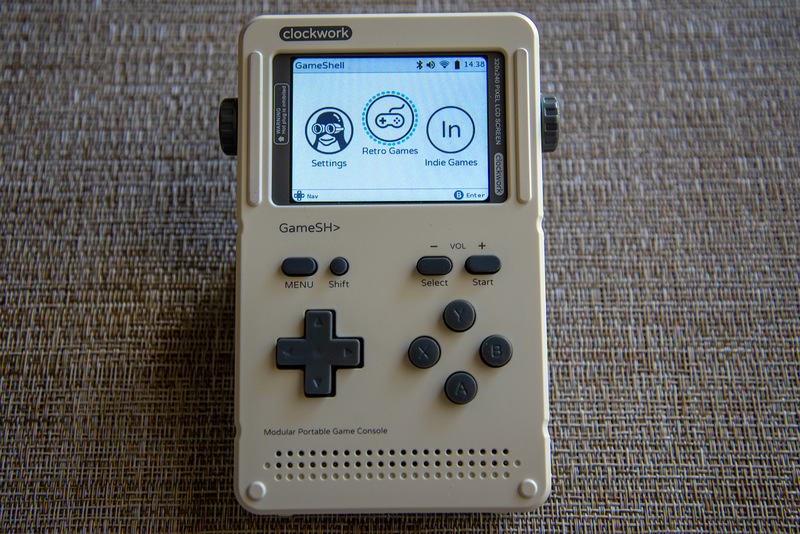 For those interested in the emulation power of the GameShell, you’ll be happy to know that just about every platform we tried – Game Boy Advance, SNES, Genesis, Neo Geo, MAME, and more – ran perfect, with only slight slowdowns in action heavy games (Strikers 1945 Plus on Neo Geo). Audio was pristine and we didn’t hear any crackling or distortion in the titles we tried. 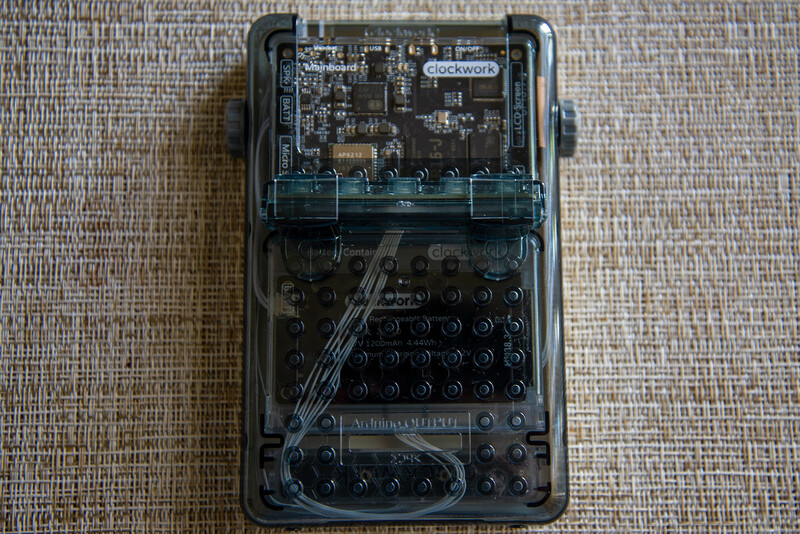 The Light Key module was easily configured for games that required more than 4-buttons. If you press Menu + Shift during gameplay in RetroArch, you’ll see a menu with several options, including the ability to save / load states. When fully charged, you can expect up to 2-hours of continuous gaming, depending on what emulators you’re using – possibly longer for the older platforms. 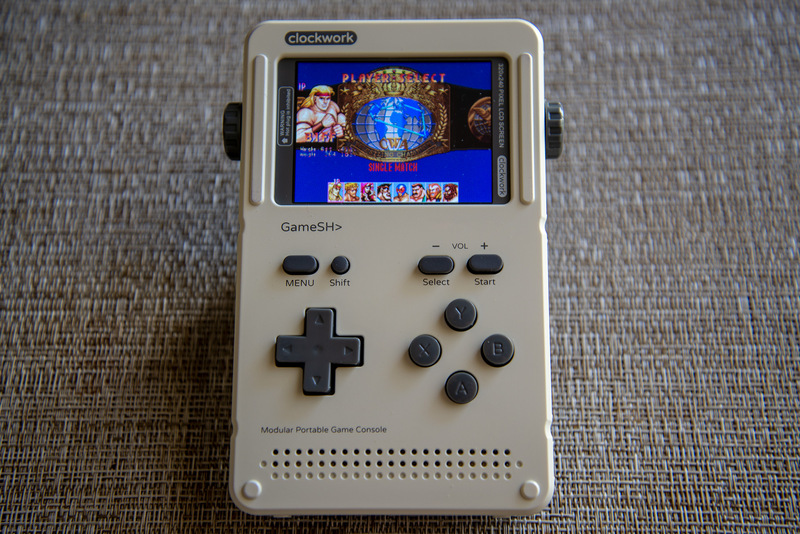 We’ve tried countless portable game consoles, whether they be pre-assmebled or DIY, and ClockworkPi’s Game Shell Kit has blown away the competition. 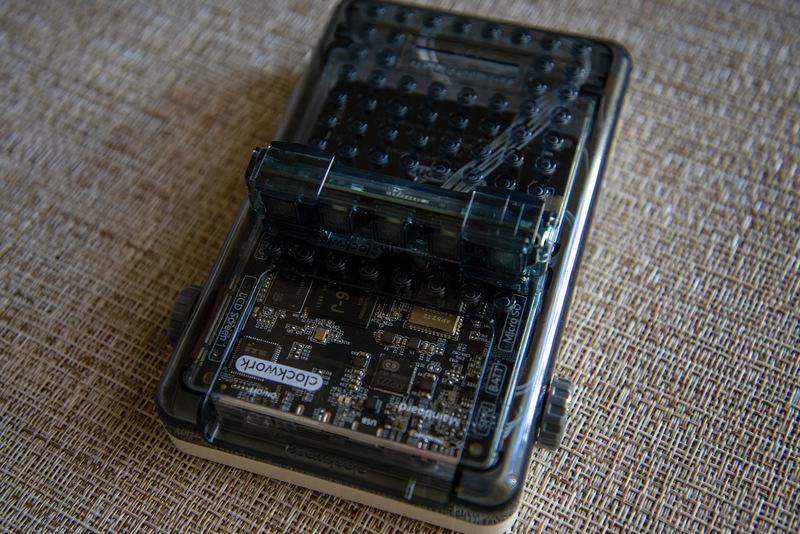 You’ll not only get an extremely high quality handheld, but one with easily replaceable parts, as well as the ability to hack it into just about anything the parts allow (wireless speaker, etc.) using the 14PIN GPIOs development cable. Currently, they have a special of $159 of the base kit or $139 for students. Get one here now.